Purchasing a sound system for your worship facility can be a very daunting task, intimidating to many. It doesn’t have to be. When asked by customers for advice on what kind of sound system they should install, I always respond by helping the inquirer to understand the true value of the sound system or loudspeaker array system design as it pertains to their particular situation. My goal is to define value as the key word. Value as a concept is relatively easy to understand. It is the total worth, in usefulness or importance to the user or owner, based on their situational needs. We sometimes mistake value with just the invoiced price of a piece of equipment or overall system. Value includes not only price, but reliability, total cost of installation, and service over the time period the equipment is used; this is commonly referred to as the total-cost-ownership and is a very good measure of value. There is an additional measure of value and that is the actual usefulness of the system based on the kind of use (or programs, services and events) you need to support in your church and how well the system meets those requirements. Let’s discuss how value must be considered at the very beginning of the design process to determine the kind of sound system best suited to support your congregation’s needs. Whether you decide to use an independent design consultant or choose to work with a competent design-build contractor, there are some basic decisions that must be made early in the design phase when choosing the design approach for a sound system that will let you realize the greatest value. The purpose of any sound system is to transmit information. There are typically three kinds of installed sound systems used in today’s worship spaces based on the worship style of your congregation. Let’s call them Speech Only, Speech and Music, and High-Impact Music. I’ll define each in terms of the typical loudspeaker system used, and then we can look at the inherent value of each. A speech-only sound system’s primary function is to provide good intelligibility of the spoken word throughout the listening area. For these systems there is a tendency to use a center cluster of loudspeakers or a distributed loudspeaker system approach. Center clusters provide good source localization to the talker. Delay loudspeakers are sometimes used to improve gain before feedback and increase coverage evenness, but at an increased cost. Speech-only systems are usually the most inexpensive and least complicated of the three categories depending on the size of the sanctuary. Speech and music sound systems are the category suitable for most of today’s worship spaces. Here all the elements associated with a successful speech system, including even coverage and good intelligibility, need to be combined with a system that has extended low frequency capabilities and generally plays louder. These loudspeaker systems typically involve a left/ right array configuration with fill and delay loudspeakers as needed based upon the building architecture. Cost for these kinds of systems is typically higher than speech-only systems, but again this depends on the size and architecture of the specific sanctuary. Full high-performance quality systems, or as I refer to them “high-impact music systems”, are required when the loudspeaker arrays must produce high sound pressure levels and have extended bandwidth, usually with separate sub-woofer systems. These kinds of systems approach the cost and complexity of a full concert touring system when it comes to performance requirements and are certainly the most complex of the three categories. The first step in making certain you get value from your new sound system is to determine which of these three categories best suits your congregation’s service needs. Clearly a contemporary worship service with a high-energy praise band would not be well served by a speech-only sound system! 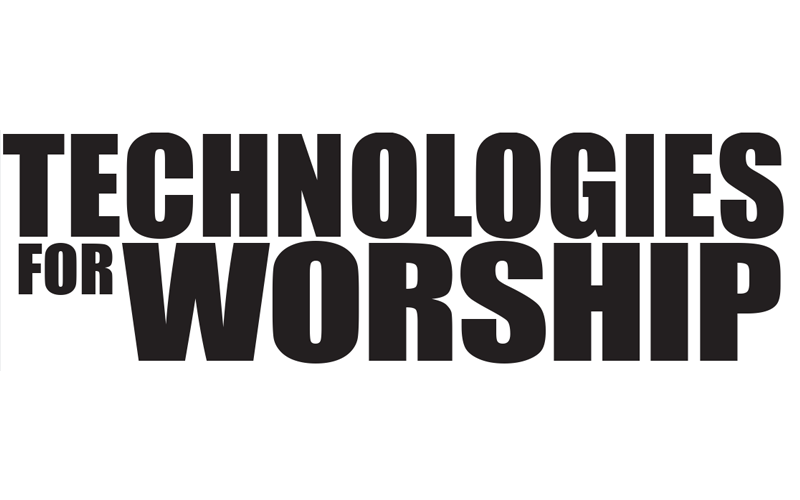 Using the same logic, a high-impact music system would be “much more system” than a liturgical or sermon oriented service would require, providing little true value, considering the high total cost of ownership and the typical use of the system. 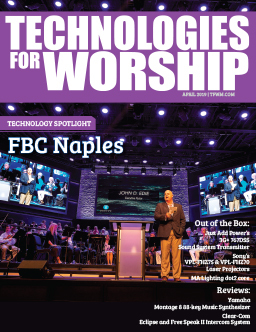 If you are having difficulty determining which kind of system is best suited to your congregation, discuss the programming needs of your service with the consultant or design-build contractor whom you will be using to actually design the system. Inviting your chosen professional to a service is a great way to help them best understand what you are looking to achieve. Once you have established what kind of sound system you need based on program material and regular use, a second criteria, just as important, must be considered to achieve the most value from your new purchase. This evaluation involves the operation of the sound system, and even more specifically, how experienced the operator in charge of the system will be. The operation of the sound system usually involves the operator using a mixing console of some level of complexity and sophistication to control sound levels, the tonal quality of various microphones and other audio source (CD, tape, etc) inputs during the service. Church sound systems fall into three distinct operation categories based on the kind of operator available and the kind of sound system; the Unattended System, the Volunteer Operated System, and the Expert Operated System. The unattended sound system is exactly as it sounds; self running, with perhaps an operator coming prior to the service to simply turn the system on. This kind of system has very simple controls, usually a set of volume controls in various sections of the worship area to turn the sound volume up or down, or completely off in some areas. These systems are “self mixing” and are the simplest when it comes to operation, requiring a minimum amount of experience for the operator. The kinds of churches likely to use this kind of operation are the liturgical, or sermon based, speech-only congregations. The volunteer operated system is the most popular system in operation in today’s various style worship spaces. These sound systems have a more sophisticated user interface involving a mixing console and sometimes other equipment to assist in modifying the tone and quality of the sound. There is a range of sound mixing consoles and controls from the very simple to some extremely complex that control what are usually music and speech oriented systems. The expert operated system involves a mixing console and ancillary equipment of the highest level of complexity and performance capability. These systems require a very experienced operator who understands the correct use of the mixing console interface and generally a very good knowledge of how the overall sound system is designed. We see these kinds of systems in the high-impact music churches, where there is usually a high-energy praise band, along with speech, and possibly dramatic or theatrical content to the service. This type of system is costly and is generally used by the larger congregations, including today’s production oriented mega-churches. Matching the level of experience of your designated operator and the complexity of the user interface of the system is critical to gain the most value from the system. Often we see a system installed, with an operator who is confused by its complexity, making for a less than optimal worship experience when the sound system is unable to perform as designed. Speak with your consultant or design-build contractor about which kind of system interface is right for you. When you do decide, make certain your operators receive training on the system by the installer or consultant. There is nothing worse than purchasing a brand new sound system that no one understands how to use, or even worse, does not have sufficient user capabilities to address the needs of your worship services. There is yet another consideration that should be kept in mind during the entire process of deciding what new sound system you will acquire. Most congregations are constantly growing, expanding and changing, and their sound system needs will be changing too. Consider what will happen to the sound system you are designing and purchasing over the coming years as your congregation changes. Will it still have value? One important way to retain value is to be certain that the selected equipment can be re-purposed for other uses. In other words, what may be the main sanctuary system today, could be the fellowship hall system in three years. An eye to the future and how the sound system fits into your plans can help tremendously with gaining the most value out of your new purchase. 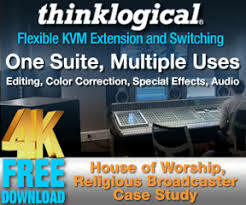 Acquiring a new sound system, or any audio-visual technology system, for your congregation is a complex task. It often requires assistance from a reputable consultant and/or design-build contractor to be technically accurate. Long before the technical discussions begin, it is important for you to use the simple steps I have outlined to be certain you match the kind of sound system you truly need to the kind of sound system that will be installed! This is the first step towards achieving, and maintaining, the most value possible for your congregation.